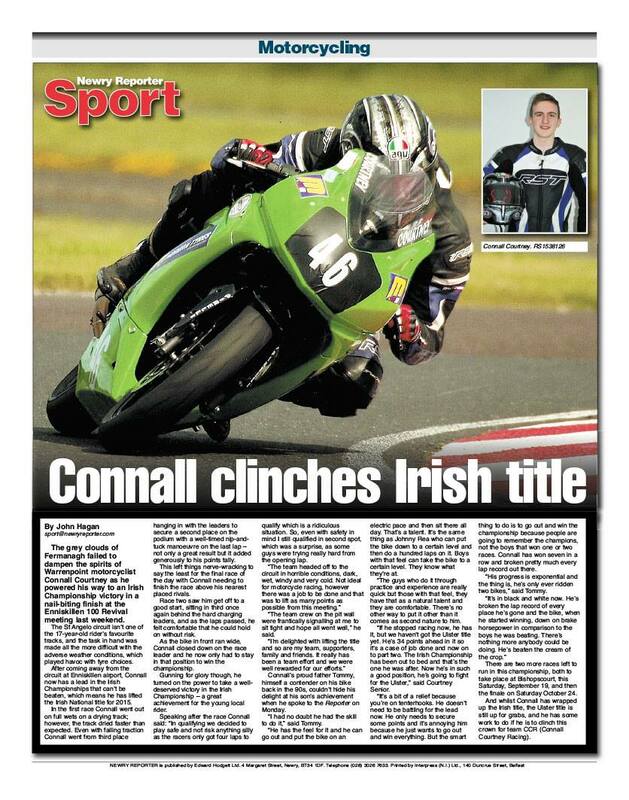 Connell Courtney Racing sponsored by Modern Tyres, has brought home the Ulster, Southern and now Irish titles. 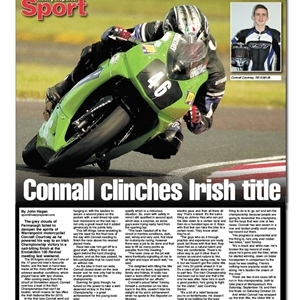 Thats the triple championship won on the Modern Tyres / Mototech Kawasaki taking the Enniskillen 100 revival in September. Well done to this brilliant young racer whose career is only getting better with every race. Check back here for more information and updated for CC Racing and also read their Facebook page for the latest results and news. Check out the article in The Newry Reporter.